Ready for one of the easiest main dishes you’ll ever make? 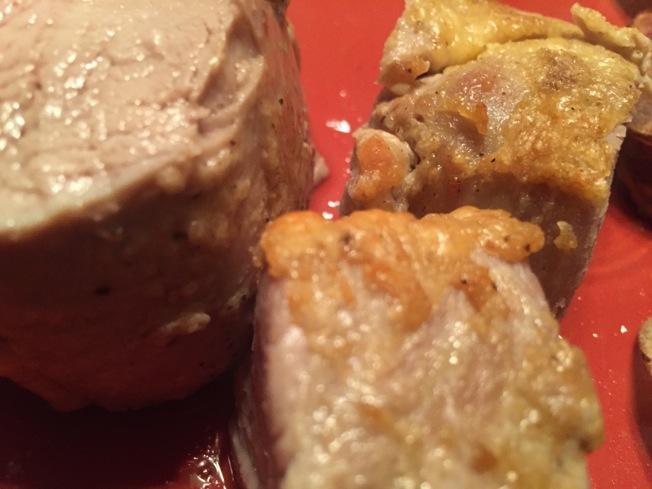 This delicious pork tenderloin has this light, flavorful crust that has the advantage of being low carb! 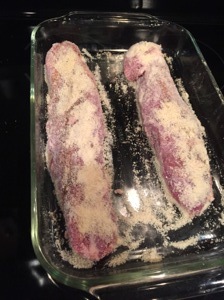 Pork tenderloins, parmesan cheese and a few spices. 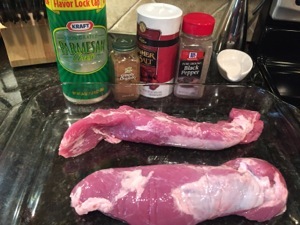 Pat the pork dry with paper towels and lightly season it with salt. In a small bowl, mix together the cheese, cumin, and freshly ground black pepper to taste. Press the mixture all over the pork, coating it as thoroughly as possible. Remove the pork from the oven, transfer it to a cutting board, and let it rest for several minutes before serving. 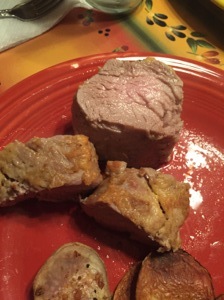 Cut the pork into 1/2″-thick slices and serve immediately.